Portfolio objectives center on risk return trade off between the expected return the investor want (return requirements) and how much risk they are willing to assume (risk tolerance). The basic factor that affecting individual investor return requirement and risk tolerance are life cycle stage and individual performances. A meddle aged tenured professor will have a different set of needs and performances then a retired windows. Mutual funds are pools of investors’ money. They invest in ways specified in their prospectuses and issue shares to investors entitling then to pro rata portion of the income generated by the funds. The objectives of a mutual fund are spelled out in its prospectus. There are two basic types defined contribution plans and defined benefit plans. Defined contribution plans are effects tax refereed investment savings accounts established by the firm in trust for its employees with the employee bearing all the risk and receiving all the return from the plans assets. The largest pension plans however are defined benefits plans. In this palns the assets serve as collateral for the liabilities that the firm sponsoring the plans owes to plans beneficiaries. The liabilities are life annuities, earned during the employee’s working years, that start at the plan participant’s retirement. Life Insurance Company generally tries to invest as to use their liabilities, which are defined by the policies they write. Thus there are many objectives as there are distinct types of policies. Until a decade or so ago there were only two types of life insurance policies available for individuals. One is whole life insurance policies which combine a death benefit with a kind of saving plans that provide for a gradual buildup of cash value that the policy holder can withdraw a greater point in life, usually at age sixty five. And another one is term insurance which is provided debt benefits only, with no buildup of cash value. Under a variable life policy the insured’s premium buys a fixed death benefit plus a cash value that can be invested in a variety of mutual funds from which the policy holder can choose. With universal life policy policyholders can increase or reduce the premium or death benefit according to their needs. Furthermore, the interest rate on the cash value component changes with market interest rate. The greater advantage of variable and universal life insurance policy is that earnings on the cash value are not taxed until the money is withdrawn. Non-life insurance companies such as property and casualty insurers have investable funds primarily because they pay claims after they collect policy premiums. Typically, they are conservative in their attitude toward risk. As with life insurers, non-life insurance companies can be either stock companies or mutual companies. The defining characteristic of banks is that most of their investments are loans to business and consumers and most of their liabilities are accounts of depositors. As investors, the objective of banks is to try to match the risk of assets to liabilities while earning a profitable spread between the lending and borrowing rates. Liquidity is the ease with which an asset can be sold and still fetch a fair price. It is a relationship between the time dimension (how long will it take to dispose) and the price dimension (any discount from fair market price) of an investment asset. This is the planned liquidation date of the investment or part of it. Examples of an individual investment horizon could be the time to fund a child’s college education or the retirement date for a wage earner. Only professional and institutional investors are constrained by regulations. First and foremost is the prudent investor rule. That is professional investor who manage other people’s money have a fiduciary responsibility to restrict investment to assets that would have been approved by a prudent investor. The primary risks in fund investing include the …..
Market risk is the big one, also known as principal risk, and it’s the chance that downturn chews up your money. Purchasing power risk sometimes called the inflation risk. This is the “risk of avoiding risk”. And it’s at the opposite end of the spectrum from market risk. Interest-rate risk is a key factor in the current environment of declining rates, where you face potential income declines when a bond or certificate of deposit matures and you need to reinvest the money. Timing risk is another highly individual factor, revolving around your personal time horizon. Liquidity risk is another risk heightened by current tensions. It affects everything from junk bonds to foreign stocks. 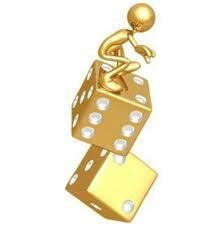 Political risk is the prospect that government decisions will affect the value of your investments. Societal risk called this “world-event risk”. Tax deferral option which arises from the fact that you do not have to pay tax on a capital gain until you choose to realize the gain. Tax deferred retirement plans are the individual retirement accounts. Here individual choose how to allocate assets. Here contribution and earnings is not subjects to federal income tax until the individual withdraws them as benefits. Tax deferred annuities are essentially tax-sheltered accounts offered by the life insurance companies. There are two types of life annuities. Fixed annuities and variable annuities. Fixed annuities pay a fixed nominal sum of money per period (usually each month). And variable annuities pay a periodic amount linked to the investment performance of some underlying portfolio. Mortality tables that show the probabilities that individual of various ages will die within a year. This table enable the insurer to compare with reasonable accuracy how many of a large number of people in a given age group will die in each future year.